It’s time to go full steam ahead with the implementation of a Value added tax (VAT) from January 1, 2018. With United VAT, integrating VAT to your existing business operations becomes steadfast and effective. Understanding the Business model: To gain an insight to the structure of your business, our VAT experts will interact with you or will visit the organization concerned. Then, he will design a VAT Implementation plan accordingly, to suit the need. VAT Registration: There is provision of mandatory and voluntary registration prescribed in the VAT law of UAE alongside some exemptions. Our experts will advise you about all the basic registration procedure required to comply with the law of land i.e. with VAT law of UAE. We will ensure procedural formalities done before the date prescribed by the tax authority. Impact Analysis of VAT: Analysis of the implication of VAT on the businesses is an intrinsic step for the efficient functioning of any business, since it will provide better insight and appraisal to the management. Our study of impact of VAT will include essentials of your business such as profitability, costing and capital etc. VAT Transaction Management: Our dedicated VAT specialists will ensure the transactions to be UAE VAT compliant for smooth functioning of your businesses. 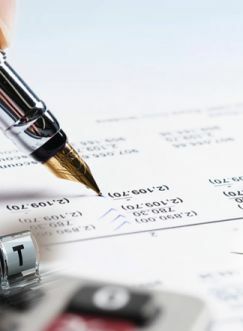 Accounting under new VAT law will involve the scrutiny of the present account system, alongside the suggestion of the apt chart of accounts with proper categorization. Our professionals will create the VAT return by following all the rules mentioned in the guidelines. All the essential assistance related to the changes incorporated in the accounting, billing and administrative process will be provided by our VAT experts in order to comply with the rules rendered by the UAE VAT authority. Similarly, all the rules rendered by the UAE VAT law will be followed accordingly by our specialists, while invoicing the VAT. VAT Return Filing: Our support service covers proper preparation and filing of the VAT return, that involves accepting the correct tax credit against the total VAT liability with assistance on proper planning and timing of the cash flows. VAT Compliance: Our dedicated VAT experts work cognitively and tirelessly to make the businesses VAT compliant. They possess the required skills to identify the glitches and fill the vacuum left open that might invite penalties. They ensure timely return fillings and advise suitable solutions, when in need of making VAT compliant. VAT Amendment: VAT implementation process should be effective enough to accommodate the required amendments of the time-to-time business affairs. With every passing day, businesses try to grow and flourish, and this requires the businesses to be VAT amendment process ready. We, at United VAT, have experience of carrying out all kind of VAT amendments that you may face in the journey of reaching to your endeavor. Our oversimplified amendment process will ensure the effective functioning of your business. How the VAT will be implemented across the country? In preparation for the GCC-wide implementation of VAT, each member state of the GCC will establish their own separate national legislation concerning VAT and as such the detailed compliance requirements and set of rules will be outlined in respective legislation. By when the domestic VAT legislation will be released? The UAE government has released domestic VAT legislation by mid-2017 with detailed regulations. Who will pay the VAT? 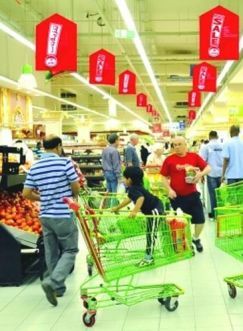 VAT will be payable by every individual/consumer in the country except by non-resident tourists in certain cases, who buys any product or takes services in GCC. VAT is imposed on supply of goods and services and is charged throughout the supply chain, including on the final sale. VAT is also imposed on the imports of goods and services so as to ensure that a level playing field is maintained for domestic providers of those same goods and services. Businesses will be liable for precisely documenting their business income and costs and related VAT charges. Registered businesses and traders will charge VAT at the prevailing rate and incur VAT on goods and services they take from suppliers. The difference between these sums is reclaimed or paid to the government.